The National Council for the Training of Journalists (NCTJ) was founded in 1951 as organisation to oversee the training of journalists for the newspaper industry in the United Kingdom and is now playing a role in the wider media. It is a self-appointed body and does not hold any statutory powers from central government, meaning students and those seeking to enter the media industry do not have to legally hold one of its qualifications to obtain work as a journalist. Newcastle upon Tyne, commonly known as Newcastle, is a city in Tyne and Wear, North East England, 103 miles (166 km) south of Edinburgh and 277 miles (446 km) north of London on the northern bank of the River Tyne, 8.5 mi (13.7 km) from the North Sea. Newcastle is the most populous city in the North East, and forms the core of the Tyneside conurbation, the eighth most populous urban area in the United Kingdom. Newcastle is a member of the UK Core Cities Group and is a member of the Eurocities network of European cities. TV-am was a TV company that broadcast the ITV franchise for breakfast television in the United Kingdom from 1 February 1983 until 31 December 1992. The station was the UK's first national operator of a commercial breakfast television franchise. Its daily broadcasts were between 6 am and 9:25 am. The Royal Television Society, or RTS, is a British-based educational charity for the discussion, and analysis of television in all its forms, past, present and future. It is the oldest television society in the world. It currently has thirteen regional and national centres in the UK, as well as a branch in the Republic of Ireland. Crawford covered the 2011 Libyan civil war. She was widely praised for her live on-scene reporting of the Battle of Tripoli. She was the first TV journalist to enter Libya with the rebels, becoming a face of the conflict. She travelled with a rebel convoy into the heart of Tripoli, shooting direct live footage of the rebel advances, which reached Green Square with little resistance from pro-Gaddafi forces. She wore a helmet and bulletproof vest, stating that she did not feel in any danger, but wore them as a precaution against celebratory gunfire. She also covered the raid of Bab al-Azizia live from outside the compound, and was one of the first journalists to go inside once the raid was over. The Martyrs' Square ; known as Green Square under the Gaddafi government; Independence Square during the monarchy; and originally known as Piazza Italia is a downtown landmark at the bay in the city of Tripoli, Libya. The main commercial center of the city surrounds the square. The Square is also a main tourist attraction in Tripoli.It has a large legendary fountain done by an Italian architect at the centre of the square. The square is the meeting point of many different avenues. Omar Mukhtar Avenue is one of the longest in North Africa, it was built by Italians in the colonial time, and Libyans during the era of King Idris I. Independence Street branches from the square too, and it leads to the Palace of King Idris I. 24 December Avenue is also an Italian built avenue. Mizran Street is the last street that branches from the Martyrs' Square. Bab al-Azizia, "The Splendid Gate", is a military barracks and compound situated in the southern suburbs of Tripoli, the capital of Libya. It served as the main base for the Libyan leader Muammar Gaddafi until its capture by anti-Gaddafi forces on 23 August 2011, during the Battle of Tripoli in the Libyan Civil War. Crawford was active in covering the Northern Mali conflict from 15 January 2013 until the end of French military operations. Her Sky News team was the first to enter Timbuktu after it was liberated by French forces. The Northern Mali Conflict, Mali Civil War, or Mali War refers to armed conflicts that started from January 2012 between the northern and southern parts of Mali in Africa. On 16 January 2012, several insurgent groups began fighting a campaign against the Malian government for independence or greater autonomy for northern Mali, an area of northern Mali they called Azawad. The National Movement for the Liberation of Azawad (MNLA), an organization fighting to make this area of Mali an independent homeland for the Tuareg people, had taken control of the region by April 2012. 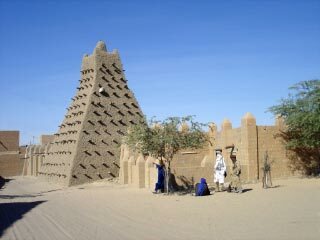 Timbuktu is an ancient city in Mali, situated 20 km (12 mi) north of the Niger River. The town is the capital of the Timbuktu Region, one of the eight administrative regions of Mali. It had a population of 54,453 in the 2009 census. Saif al-Islam Gaddafi is a Libyan political figure. He is the second son of the Libyan leader Muammar Gaddafi and his second wife Safia Farkash. Gaddafi was awarded a PhD from the London School of Economics. Ayesha Gaddafi, also known as Aicha Al-Kadhafi, is a former Libyan mediator and military official, former UN Goodwill Ambassador, and lawyer by profession. She is the fifth child and only daughter of former Libyan Leader Muammar Gaddafi and his second wife Safia Farkash. Lourdes "Lulu" Garcia-Navarro is the host of National Public Radio's Weekend Edition Sunday. Previously, she was a foreign correspondent, serving as NPR's Jerusalem bureau chief from April 2009 to the end of 2012. Her coverage of the Israeli-Palestinian conflict and her vivid dispatches of the Arab Spring uprisings brought Garcia-Navarro wide acclaim and five awards in 2012, including the Edward R. Murrow and Peabody Awards for her coverage of the Libyan revolt. She then moved to Rio de Janeiro, Brazil, covering South America. Her series on the Amazon rain forest was a Peabody finalist and won an Edward R. Murrow award for best news series. Relations between Libya and the United Kingdom were initially close and positive after the British Armed Forces helped rebel forces to topple Muammar Gaddafi's regime in the 2011 Libyan Civil War. British officials have visited Libya several times since then, including two visits by Prime Minister David Cameron on which large crowds turned out to welcome him. The British Armed Forces are also helping to train Libya's National Army as part of wider cooperation on security matters. Security conditions have deteriorated since 2014, when the United Kingdom suspended operations from their embassy in Tripoli, into a second civil war. The 2011 Tripoli clashes were a series of confrontations between Libyan anti-government demonstrators and forces loyal to Libyan leader Muammar Gaddafi in the capital city of Tripoli at the beginning of the Libyan Civil War. During the early days of the uprising, there was significant unrest in the city, but the city remained under the control of the government. The Libyan Civil War began on 17 February 2011 as a civil protest and later evolved into a widespread uprising. By mid-August, anti-Gaddafi forces effectively supported by a NATO-led international coalition were ascendant in Tripolitania, breaking out of the restive Nafusa Mountains in the south to mount an offensive toward the coast and advancing from Misrata on loyalist-held cities and villages from the north and east. Khamis Gaddafi was the seventh and youngest son of former Libyan leader Muammar Gaddafi, and the military commander in charge of the Khamis Brigade of the Libyan Army. He was part of his father's inner circle. During the Libyan Civil War in 2011, he was a major target for opposition forces trying to overthrow his father. Moussa Ibrahim is a Libyan political figure who rose to international attention in 2011 as Muammar Gaddafi's Information Minister and official spokesman, serving in this role until the government was toppled in the Libyan Civil War. Ibrahim held frequent press conferences in the course of the war, denouncing rebel forces and the NATO-led military intervention, often in defiant and impassioned tones. His status and whereabouts remained unknown following the Battle of Tripoli in which the Gaddafi government was overthrown, although there were several claims and subsequent refutations of his capture. Eventually, in late 2014, it was discovered he was in Egypt before he was deported and fled to Serbia. On 12 January 2015 Moussa Ibrahim spoke publicly by video link at a political event hosted at the Committee Rooms Houses of Parliament, Westminster, London from an undisclosed location, also the Director of Private Security Company. The Second Battle of Zawiya or Zawia was a battle in the Libyan Civil War between rebel anti-Gaddafi forces and forces loyal to Muammar Gaddafi for control of the Tripolitanian city of Zawia. The 2011 Libyan rebel coastal offensive was a major rebel offensive of the Libyan Civil War. It was mounted by anti-Gaddafi forces with the intention of cutting off the supply route from Tunisia for pro-Gaddafi loyalist forces in Tripoli. The Battle of Tripoli was a military confrontation in Tripoli, Libya, between loyalists of Muammar Gaddafi, the longtime leader of Libya, and the National Transitional Council, which was attempting to overthrow Gaddafi and take control of the capital. The battle began on 20 August 2011, six months after the Libyan Civil War started, with an uprising within the city; rebel forces outside the city planned an offensive to link up with elements within Tripoli, and eventually take control of the nation's capital. Sara Sidner is an American journalist. She is a correspondent for CNN and CNN International based in Jerusalem starting August 2012, formerly in New Delhi. She currently works in CNN's Los Angeles bureau. Safia Farkash El Hadad is the widow of former Libyan leader Muammar Gaddafi and former First Lady of Libya, and mother of seven of his eight biological children. Lizzie Phelan, is the managing director of redfish GmbH, a Berlin based media company that focuses on creating critical short-documentaries. redfish is a subsidiary of RT's video news agency and Phelan was formerly employed as a reporter by RT, and specializes in reporting as a war correspondent, having filed dispatches from the field during the fall of the Libyan regime of Muammar Gaddafi, the Syrian Civil War, and war on the Islamic State of Iraq and the Levant. Marie Catherine Colvin was an American journalist who worked as a foreign affairs correspondent, for the British newspaper The Sunday Times from 1985 until her death. She died while covering the siege of Homs in Syria. The Libya Herald is an English-language newspaper based in Tripoli, Libya. It was launched on 17 February 2012, the first anniversary of the outbreak of the Libyan Civil War, and currently publishes news through its website, though plans are in place to launch a print edition in the near future. The Libya Herald was the initiative of Michel Cousins, a British journalist raised in Libya who has worked in the Arab world for much of his career. Cousins co-founded the paper together with Sami Zaptia, a Libyan journalist who worked for the state-owned Tripoli Post for ten years but resigned upon the outbreak of the Libyan Civil War, frustrated at the Gaddafi regime's strict censorship. Until January 2013, the paper's deputy editor was George Grant, a British journalist who also worked as Libya correspondent for The Times newspaper. Grant was subsequently forced to leave Libya following an abduction threat from suspected Islamists in Benghazi following an investigation he was conducting into a death list in the city. The Libyan Crisis refers to the ongoing conflicts in Libya, beginning with the Arab Spring protests of 2011, which led to a civil war, foreign military intervention, and the ousting and death of Muammar Gaddafi. The civil war's aftermath and proliferation of armed groups led to violence and instability across the country, which erupted into renewed civil war in 2014. The ongoing crisis in Libya has so far resulted in tens of thousands of casualties since the onset of violence in early 2011. During both civil wars, the output of Libya's economically crucial oil industry collapsed to a small fraction of its usual level, with most facilities blockaded or damaged by rival groups, despite having the largest oil reserves of any African country. U.S. President Barack Obama stated on 11 April 2016 that not preparing for a post-Gaddafi Libya was probably the "worst mistake" of his presidency. 1 2 3 4 "Alex Crawford". Sky News. Archived from the original on 1 January 2013. Retrieved 22 December 2012. 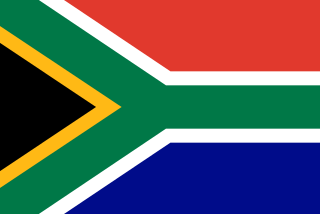 1 2 "Alex Crawford, RTS Journalist of the Year, Posted to Sky News' South Africa Bureau". skypressoffice.co.uk. 27 April 2011. Archived from the original on 21 April 2013. Retrieved 27 December 2012. 1 2 "No. 60009". The London Gazette (Supplement). 31 December 2011. p. 9. ↑ "Three time RTS winner is May's alumnus of the month". National Council for the Training of Journalists. 3 May 2011. Retrieved 22 August 2011. 1 2 "Alex Crawford OBE". arts.ac.uk. Archived from the original on 19 April 2013. Retrieved 22 December 2012. 1 2 "HarperCollins Author Profile: Alex Crawford". harpercollins.co.uk. Retrieved 22 December 2012. 1 2 3 Darrall, Stephanie (29 August 2011). "War reporter? My kids wish I was a dinner lady, says Alex Crawford". Daily Mail. Retrieved 27 December 2012. ↑ Foster, Patrick (22 August 2011). "Libya coverage: Sky's Alex Crawford scoops her rivals". The Guardian. London. Retrieved 22 December 2012. ↑ Hickman, Leo (22 August 2011). "Alex Crawford is our new journalistic hero". The Guardian. London. Retrieved 22 December 2012. ↑ Hough, Andrew (22 August 2011). "Libya: Sky News reporter Alex Crawford praised for dramatic Tripoli reporting". The Daily Telegraph. London. Retrieved 22 December 2012. ↑ Erik Wemple (22 August 2011). "Alex Crawford explains her safety gear". The Washington Post. Retrieved 22 December 2012. ↑ Jesse Emspak (22 August 2011). "Laptop, cigarette lighter aid reporter in Libya". news.discovery.com. Retrieved 22 December 2012. ↑ "Mali Conflict: France Recaptures Diabaly". news.sky.com. 21 January 2013. Retrieved 27 January 2013. ↑ Desert Island Discs. BBC Radio 4. First broadcast 10 January 2016. ↑ "Elders' News". Cobham Hall School. 17 January 2013. Retrieved 3 March 2012. Alex Crawford (special correspondent for Sky News) was appointed an OBE for services to broadcast journalism in January 2012. In February she was also awarded the Royal Television Society Television Journalist of the Year Award for the third straight year. This is the fourth time she has won this award. ↑ McGrath, JA (13 December 2005). "Edmonson's absence will be keenly felt". The Telegraph. Retrieved 27 December 2012. ↑ Edmondson, Richard (29 August 2011). "Richard Edmondson: Nothing angers my wife more than sexists who question her career". The Independent. Retrieved 27 December 2012. ↑ Tyzack, Anna (1 December 2011). "My Perfect Weekend: Alex Crawford". The Telegraph. Retrieved 27 December 2012.